Lamb of God guitarist Mark Morton recently premiered the song “Cross Off” featuring the late, great Chester Bennington, which the Linkin Park frontman recorded before his sudden passing in July 2017. Fans are loving the heavy tune, but what about Bennington’s Linkin Park band mates? 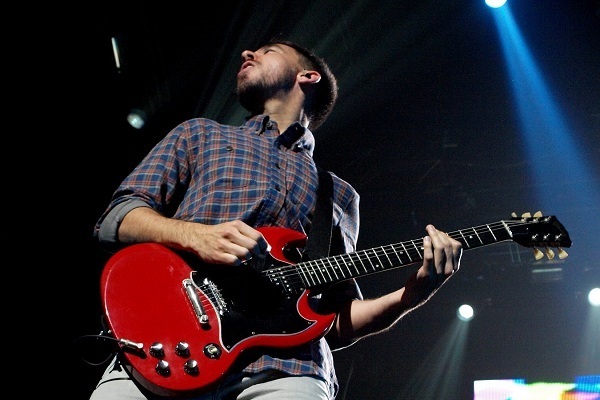 The most vocals of those comrades, rapper and multi-instrumentalist Mike Shinoda, says that he remembers Bennington working on the song and being proud of it. “I remember when Chester played this song for me in his car, almost finished,” Shinoda tweeted. “He was really happy with it. Good stuff, Mark.” He also included a heart and the folded hand praying emoji in the tweet. “Cross Off” will arrive on Morton’s upcoming solo album, “Anesthetic,” which will hit stores on March 1. The record also features high-profile collaborations with Papa Roach’s Jacoby Shaddix, Alter Bridge frontman and Slash singer Myles Kennedy, Mark Lanegan and Lamb of God singer Randy Blythe.